Selena Gomez famously takes a ginger shot every morning because it “[kills] everything inside—all of the bad things,” as revealed on The Late Late Show’s Carpool Karaoke. But you don’t have to throw back the uber-healthy ingredient in a really intense shot to reap the benefits—once you know how to make ginger tea, you can sip it any time you want. In Ayurveda, ginger’s beloved for its “digestive fire” properties and is used a lot in traditional cooking, according to Shrankhla Holecek, Ayurvedic expert and founder of beauty brand Uma Oils. “Warming by nature, ginger also boosts circulation in the body, and can be analgesic,” she says. “So it’s great when you’re having a headache.” In true all-star fashion, ginger’s also incredibly anti-inflammatory. 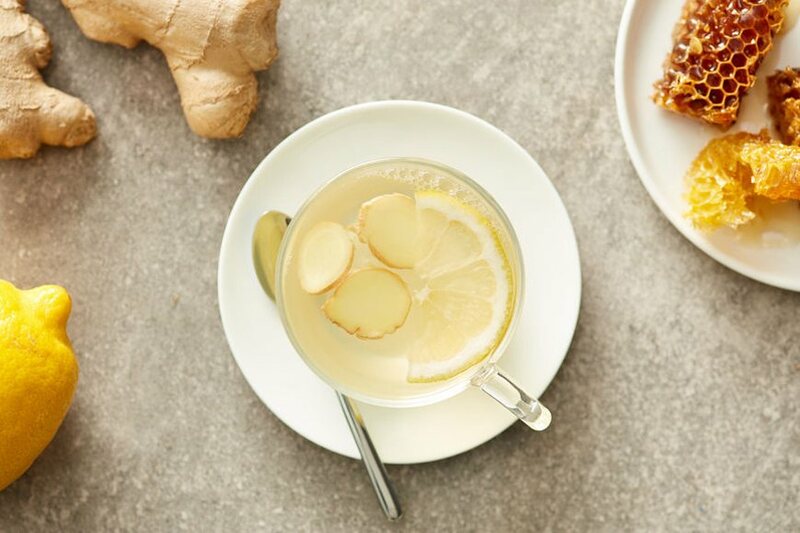 That and a study published in Nutrition magazine also notes that drinking ginger daily has the ability to boost immunity and potentially even lower one’s risk of heart disease. Of course, since making ginger tea involves, well, fresh ginger, take note that you shouldn’t be intimidated by the notoriously hard-to-carve root—there’s actually an easy way to peel ginger with a spoon (yes, really). From there, it’s as easy as adding water. 2. Add the ginger to the water and let sit for 4-5 minutes. 3. Use a strainer to drain the tea as you pour into a cup. 4. Use as much honey as desired and enjoy! Turmeric’s also a powerful ingredient—here’s how to make an Ayurvedic turmeric lemonade and healthy turmeric tonic recipes.